Chris Sonjeow is an American entrepreneur. In 2017 Chris co-founded Panda Ventures, LLC & Bamboo Holdings, LLC, two commercial real estate investment company with Kevin Zalewski, Robert Patterson and John Baranowski. In 2009, Chris co-founded DiDoson Properties, LLC with his wife Jennifer DiDonato-Sonjeow, a residential real estate holdings company. In 2010 he co-founded Lovebook LLC, an internet book publishing company that creates software to build personalized gift books. In 2010, Chris co-founded Sonjeow Holdings, LLC with brother Isaiah Sonjeow which operates as Khom Fai: Thai Dining Experience. Sonjeow attended The Art Institute of Pittsburg and graduated with a degree in 3D Animation. Isaiah (left) and Chris Sonjeow. Isaiah Sonjeow is an American restauranteur. 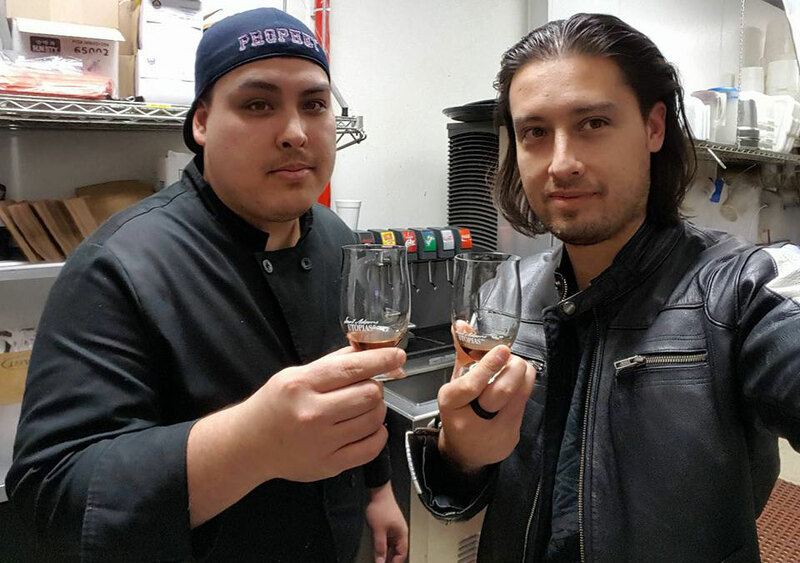 In 2010, Isaiah opened Khom Fai: Thai Dining Experience with his brother Chris. Sonjeow attended Michigan State University and graduated with a Bachelor’s of Arts from the College of Arts and Letters. Isaiah is husband to wife Lindsay and father to two girls, Olivia Rose and Jolene Grace. 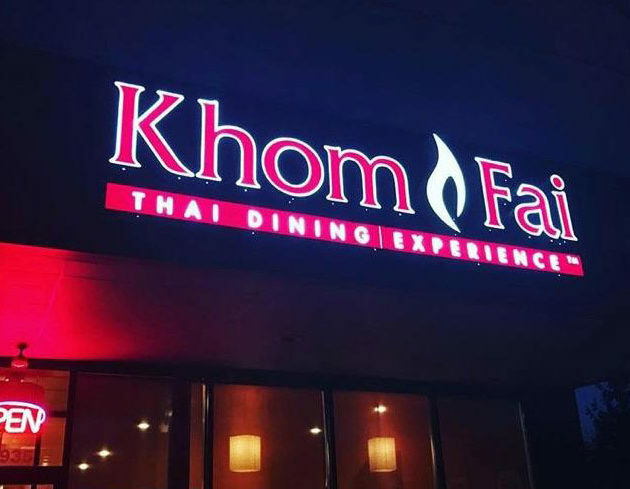 Khom Fai has won multiple awards, including: Hour Detroit Magazine’s Best of Detroit: Thai Food 6 times for Khom Fai (2011, 2013, 2014, 2015, 2016, 2018). Isaiah: Our family has been in the food business for nearly a century. Our grandmother had taught our dad how to cook and he passed it to us. I guess you could say it’s in our blood. Ever since we were kids I could remember wanting to open our own restaurant. Chris: We grew up in restaurants. Our first jobs were usually clearing tables and serving water at age 12. As we got older, we pursued other careers, Isaiah worked behind the bar and I went into marketing. Ultimately, those careers lead us to starting our own restaurant together. It was the perfect blend of our individual skills, timing and our father’s tried-and-true recipes that gave us a head start in the restaurant game. Isaiah: My favorite dish to cook has to be papaya salad. It’s a very traditional dish and it’s still made like it was by my grandmother. There are no short cuts to it. The entire dish is still made in a mortar and pestle from scratch, including the dressing. It also touches all the different tastes: salty, sweet, bitter, savory, tart and umami. One of the rare dishes that achieves perfect balance. Chris: I’ve always been fond of curry based dishes. While I enjoy all of them, green curry is the one that I always fall back on. I remember it was the first authentic Thai dish I had in Thailand during a visit when I was very young so it always stuck with me. Curry dishes tend to be easy to prepare, you could throw in all the different veggies and proteins you wanted so it was always interesting to find new combinations. Isaiah: My favorite dish to eat is probably red curry. The flavor profile is unique. There is really nothing else like it. It lends itself to heat extraordinarily well. There’s nothing like spicy chicken curry! Chris: My favorite dish to eat is definitely Sweet Broccoli Noodles aka Pad See Ew with Beef. I just love the hearty, bold flavors. The noodle texture with a bit of soy/oyster sauce goes so well will the beef and egg. I like to put a bit of Sambal Oelek to spice it up. Yummmm! Isaiah: In the states, the most interesting was visiting all of Gordon Ramsay’s restaurants in Las Vegas in one day. As one of my cooking idols, both in flavor and showmanship, it was really neat to experience three dramatically different concepts by the same person. His steakhouse, his burger joint and his English pub are a testament to his extensive knowledge. Many times, people think television chefs are a lot of sizzle and no steak. Ramsay is both. My favorite dining experience outside of the US was visiting the food stalls and street vendors in the streets of Thailand. The experience was so pure and real. No pomp and circumstance, just beautiful food, highlighting the wonderful tastes of Thailand. From fresh made Thai tea served in bags with a straw to grilled chicken on the side of the road. Whether fresh picked fruit straight from the tree, or noodle soup sold on boats in the floating market, the street vendors of Thailand are a world like nowhere else. Chris: I have been fortunate enough to experience some amazing dining in my travels. Because of my visual marketing background, my favorite experiences tend to come with eye-catching aesthetics. One of my favorite places is Auberge du Soleil in Rutherford, CA. The views of Napa Valley on their terrace can make just about any food that much better. When you have great food along with great views…it’s a recipe for an amazingly memorable experience. I too have a soft spot for Las Vegas as well. The sheer audacity of the city, the fact that you can have some of the freshest foods brought to the middle of the desert astounds me. My favorite experience would be the filet mignon at Prime Bellagio, sitting on the patio at night, watching the fountains. There is just something over-the-top magnificent about it. Isaiah: I love a lot about Detroit. I love its history, I love its nightlife, I love its fighting spirit. But mostly I love its diversity. So much beautiful food and culture are exchanged there. The greatest restaurants in the world, *the world*, exist in Detroit. Chris: The one thing I love most about Detroit is that it’s true to itself. Detroit isn’t what you read in the headlines or how the rest of the world is exposed to it. It’s about the people. It took some brave, smart people to will Detroit back to life. Each entrepreneur who opens in Detroit takes the well-being of the city personally. It’s as if every dish served is done so with a bit of attitude (in a good way), a bit of confidence and a whole lot of skill. Isaiah: My inspiration is easy. There are plenty of local chefs like James Rigato of Mable Gray, famous television chefs like the late Anthony Bourdain, but my greatest inspiration comes from my father. I think people underestimate what it takes to leave your home country with no money, little understanding of the language and the kind of guts it takes to actually achieve the American dream. He never spent a second at culinary school, yet his food can rival any that I’ve ever tasted anywhere. His technical skill and consistency is something I hope to achieve someday. And above all else, it’s what I grew up eating. It’s comfortable, it’s delicious. It tastes like home. Chris: Ditto to what Zay (Isaiah) said about dad.